Book IPL Tickets Online: IPL 2019 is now going on and half of the matches has already been passed. But IPL fans still not able to find a genuine way to Book IPL Tickets online to enjoy the match live. There are some fraud websites that fooling people by providing mysterious links and sites to book tickets which doesn’t work. Sites like IPLTickets.net is fooling users, they don’t have any service and they don’t even know how one can book IPL tickets online. And I’m 100% sure you have also visited that site when you searched for booking tickets. Fortunately, there are a few options available for booking tickets online. And I’m going to reveal those tickets in this article. Also, I will guide you in buying tickets for recent upcoming IPL matches. 0.1 Where to Book IPL 2019 Tickets Online? 1 How to Book IPL 2019 Tickets Online? Where to Book IPL 2019 Tickets Online? The best and genuine way to Book Tickets of IPL 2019 is through Bookmyshow and Paytm. These two have partnered with Vivo IPL 2019 premier league and they have some seats reserved which they sell from their website and app when matches take place. And they don’t have tickets for all the teams and cities, sadly, you can book tickets for Mumbai Indians, Chennai Super King, Kolkata Knight Riders, and Rajasthan Royal. To book tickets of other teams, you will need to visit their own website or portal to book your seat. For example, if you want to book a ticket for RCB Team then you’ll need to visit their official website to contact for tickets in the upcoming match. The price size depends on which place of the stadium you want to book a seat. The better view you will choose, the higher the price you will need to pay for the seat. For example, the upper you will book the seat, the better you will be able to enjoy the match. And price size for the upper seat ranges from 15000Rs to 22000Rs where middle and ground seat price ranges from 500Rs to 12000Rs. There are also some high-class places in the stadiums where you will need to pay over 40000Rs where you will enjoy every possible facility like AC, Free Drinks, Free Water and Free Popcorn. The cheapest ticket price of IPL 2019 is 500Rs in most stadiums. You will need to pay at least that amount in order to enjoy the Vivo IPL 2019 premier League live. But it may fluctuate if seats don’t get full. You may be able to get a good discount which will also save your money for extra Pepsi. Price in Stadiums of Kolkata, Hyderabad, Rajasthan, and Delhi probably will be cheaper than other cities stadium. Note: Price rates vary on different citie’s stadium but the cheapest price range will be maxing 500Rs. How to Book IPL 2019 Tickets Online? As I little state above that, there are only two ways you can book tickets, using Bookmyshow and Paytm. 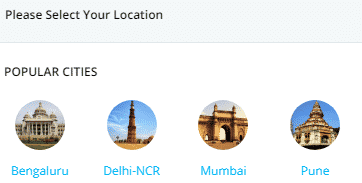 Now, let me show you how you can book tickets using these two options. Get access to Bookmyshow using its official app OR website. Sign up for a better connection using Gmail. 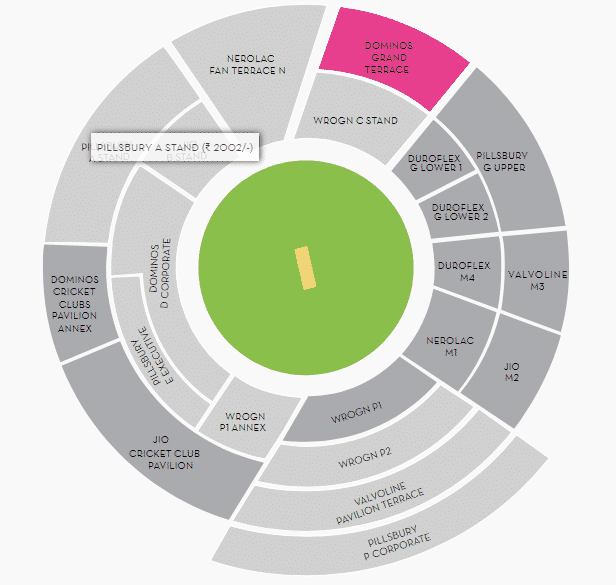 Locate Book Cricket tickets and click on the Book Now button. Select Team/City/Stadium along the data in which you want to enjoy match live. Choose the seat type which you want or have a budget and then press Next. Now, fill the payment details and pay for the seat you have chosen. Done. You have successfully booked your ticket. Once you have done the booking, you will get the message of the ticket. You will also get mailed the ticket on the Gmail you used to sign up on Bookmyshow. You can print that to have the physical ticket on your hand. Now, if you confused or didn’t found booking IPL ticket useful through Bookmyshow then let me provide you another way. Download the Paytm App or Visit the website and sign in or up. Click on events from options. Under the events, select cricket. Now, you will be able to see all the cricket event that are available for booking tickets. Select Vivo IPL Premier League and then choose any upcoming match in which you to book a seat or two. Select the seat as per your budget and then press on proceed to payment. Select the payment method, you can instantly pay through Paytm wallet or you can use net banking options. Fill the payment details and proceed the payment. Once payment is done, you will get a message of your ticket in your Gmail. You can print out if you want a physical ticket. That’s how you can book IPL 2019 ticket using Paytm App or website. If you are paying through the wallet then make sure to look in the offer section for cash back. You will be able to save 25-35% of the ticket price. I highly suggest you book tickets from these two official services. Because there is no other service which are selling IPL 2019 tickets online. And if you find difficulty using these service, then you can go to official website of Vivo IPL or IPL teams Portal and can book tickets from there through direct calling to the stadium organization. Don’t just visit such fake website for booking tickets. Just because they have a domain related to the IPL doesn’t make them official. They are just fooling which I also wanted to expose using this article. Hoping, you liked this article on IPL 2019 Tickets online!